Hello everyone my name is Cher and I am a huge booknerd. Everything and anything related to books is my weakness. I read about 4-6 books a month and 50-70 books a year. My favorite genre is young adult (YA) and sub-genres of Fantasy, Fiction, Historical fiction, contemporary, and of course Romance (I also occasionally read a few sci-fi novels). I have a bookstagram account (@bibliophilecher) that I post pictures of my books and write little updates on how I am liking them. I am also repping for a couple of bookish companies, that I will write more about in a different blog post. I have been active on my bookstagram account since August 2016 and do not plan on stopping anytime soon. I am currently a senior in high school, undergoing college applications, and am enjoying the freedom of not having too much homework. I plan on studying business, as it has been apart of my life for awhile. Including when I was in 7th-10th grade, I painted wooden boards with inspirational quotes and sold them at local boutique sales. Also working with different bookish companies has also given me some insight on how different business work. I have received a few free copies of books or ARCs to review in the past. I greatly enjoy the process and often find myself striving for more copies to review. 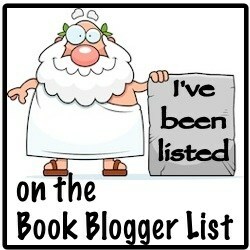 Publishers and authors that need someone to review a book for them, I would gladly do it. Please go to my contact me page to send me an email. Thank you! I am really enjoying it so far! Awesome!!! I just started a couple months ago and I enjoy it so far as well!😉 I think I have a lot to learn though still!